You already know that your nonprofit’s website is an essential part of its infrastructure. Between displaying essential contact information, sharing updates on your projects, and explaining your mission to new supporters, your website accomplishes a lot. It may even be the only interaction that a potential donor has with your organization. But does your website actively serve as a fundraising asset? Strong elements of web design are the key to ensuring that your website can handle a few other essential tasks. These include convincing new visitors to donate, actually processing that donation, and presenting a streamlined user experience at every step in the process. Let’s imagine your campaign pages leave something to be desired or offer a clunky experience. How can you ever expect to attract a significant response to your annual fund appeals when your website makes the donation process confusing or tricky for even your most exciting campaigns? Providing a well-designed experience is the single best way to ensure returning traffic on your site! This increased engagement translates to increased donations as you build stronger relationships with supporters. After all, only 1.1% of nonprofit website visitors actually made a donation last year. That’s a lot of room for improvement! As mentioned above, your nonprofit’s website has a lot on its plate. Not only does it need to serve as an effective means of communication, but it also should convert visitors to donors whenever possible. Your site has to be useful for both your supporters and for you! A perfectly-designed website that can attract and handle plenty of traffic is invaluable for any organization because it allows you to continually refine your digital strategies and keep your donors engaged with extra options and tools. On your end, the integrations incorporated into your site should actively help you track a few key nonprofit web analytics. These include traffic sources, session duration, and conversion rates. Google Analytics is a powerful tool that can help when incorporated into your website’s structure. Even if your nonprofit doesn’t have the resources for professional-grade software integrations or expert guidance, be sure to explore all your options! This list of top free plugins for WordPress from Swoop offers a view of the wide variety of resources out there. How many times have you given up trying to view a website on your smartphone because it loaded too slowly or just wasn’t working? Imagine a donor relaxing at home, waiting for the bus, or on their lunch break, trying to make a donation to your nonprofit on their phone. Giving up is the very last thing you want them to do! Unfortunately, many websites actively encourage visitors to give up by making it difficult to use or even view them on mobile browsers. This is unacceptable because half of all nonprofit website traffic came from mobile devices last year. These might look familiar; several of them appear in this article as overall best practices for web design. That’s what makes great web design such a smart investment; the elements support each other and the whole of your website. Mobile optimization is the perfect example. If your organization hasn’t yet fully optimized its site for mobile browsers, you’re far behind. A nonprofit tech strategy consultant or web design specialist can easily help you optimize your site for mobile use in no time. As a nonprofit professional, you already know that fundraising works very differently than for-profit sales. Consumers are typically motivated to make a purchase by a combination of facts, social pressure, and emotional messaging. 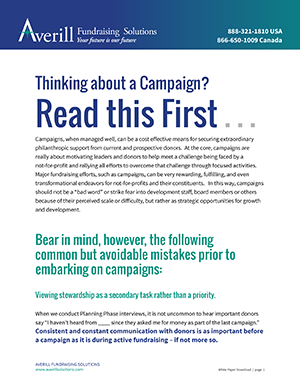 The overarching factor that motivates donors is an emotional connection felt on a personal level. Your donation appeals, of course, make use of relevant facts and social trends, but the ultimate decision to donate comes down to emotions. Your donor wants to help support your mission, provide relief to victims, or build a better society. The only thing they want out of the transaction is emotional satisfaction, which is intangible. Simply posting your mission statement isn’t enough. Your website should serve as a living document to tell the story of your nonprofit’s work and community. Whenever possible, use visual media and keep your written messages fairly succinct. Coordinating updates on your website or blog with your social media pages is a good way to keep your material visual-focused and concise. What’s the easiest way to ensure these visitors leave your website with a positive impression of your organization? Make sure they can quickly complete the task that brought them to your site in the first place! Elements of smart web design will support this goal. Simply think about why your users come to your site, put yourself in their shoes, and see how easy it is to find what you need. Let’s say you just want to make a donation; where’s the donation button? 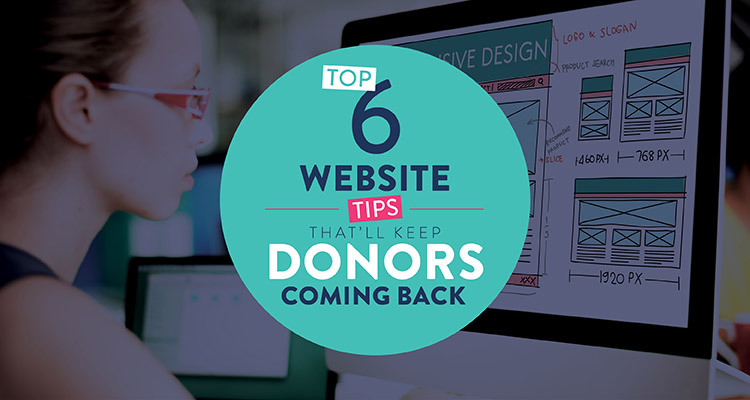 If it’s not right on the top navigation bar of your site, you’ve probably already lost a few prospective donors. Links to your donation form, contact information, campaign info, and event pages should all be placed intuitively on your site. Their design should very clearly read as links or buttons, and you should make sure the pages that they lead to are clearly labeled. Don’t risk confusing or losing anyone! Your organization’s team might already understand the value of careful branding. If not, this concept doesn’t just apply to for-profit businesses and social media celebrities! While ‘branding’ can refer to more intangible practices like developing a characteristic tone, attitude, or message, visual branding means creating a distinct and recognizable visual identity through your web design choices. Increased sense of security for your donors. Recognizing your branding will help donors feel sure that they’re actually donating to you rather than a copycat or scammer. Increased brand recognition. The more digital content you create and the wider audiences you reach, the more donors will see and continue to recognize your branding. Deepened relationships with supporters. Providing a stable visual brand establishes an identity for your organization. This allows donors to develop a firmer relationship with your work and builds public trust. These elements are essential for any kind of major fundraising down the road! Clear visual branding, bold design, intuitive layouts, and useful content can all contribute to a website that makes a great first impression. Explore a few top nonprofit websites for an idea of what a distinctive nonprofit visual identity looks like. This is a web design tip that we touched on briefly in Tip #2, mobile optimization. While page speed is a huge component of ensuring your site performs well on mobile browsers, achieving fast load speeds on all browsers should be a priority. Even on desktop browsers with more stable internet connections, boosting page speed whenever possible is a smart move. Your website’s structure. A messy structure that requires multiple redirects to follow a link will seriously impact load speed and user experience. The size of any media files on your homepage. Uncompressed media images can take a long time to load. Depending on your site’s settings, nothing else might display until they’ve all loaded. Boosting your page speed is the most direct way to reduce the bounce rate of your site’s pages. This metric measures the number of web visitors who click on a link to your site but then immediately leave. This is typically because the page was not what they were looking for or because its user experience presented a hassle rather than provide answers. As a full-service nonprofit technology consulting firm, we here at TeamDNL often review load times for our clients’ sites and make immediate recommendations for improvements. Look for this kind of attention to detail if your organization needs guidance for any future tech projects. It takes every element working together to create a great user experience. Explore a comprehensive list of nonprofit web design best practices from Double the Donation for a fuller understanding of how they all contribute to the overall quality of a website. If your organization’s website hasn’t been updated in a while, now’s the time to get started. Even if you don’t need a major overhaul, it is still crucial that you understand some essential building blocks of web design. These elements can directly add to the fundraising value of your site, so take the time to explore your options and make improvements! Your bottom line will thank you. Carl Diesing co-founded DNL OmniMedia in 2006 and has grown the team to accommodate clients with on-going web development projects. Together, DNL OmniMedia has worked with over 100 organizations to assist them with accomplishing their online goals. 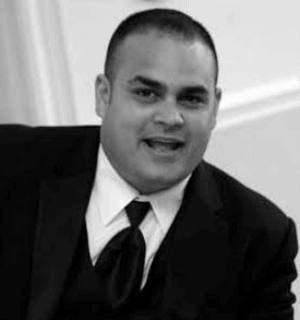 As Managing Director of DNL OmniMedia, Carl works with nonprofits and their technology to foster fundraising, create awareness, cure disease, and solve social issues. Carl lives in the Hudson Valley with his wife Sarah and their two children Charlie and Evelyn.